In the early years of this century, Srila Prabhupada Bhaktisiddhanta Saraswati Goswami Thakura set into motion a devotional revival that rapidly spread through Bengal, India, and eventually the world. He put into question the very foundations of present-day theistic thought in a way that has little comparison anywhere in the spiritual record, East or West. Through him, the world was awakened to the teachings of Sri Chaitanya Mahaprabhu and the movement of pure devotion, suddha bhakti. In orchestrating this modern bhakti revolution, Srila Prabhupada gathered some of the greatest spiritual luminaries in contemporary history into his circle. Such a convergence of exalted spiritual personalities can only be compared to the coming together of Sri Chaitanya’s direct followers in the sixteenth century. One of the devotional giants who entered Srila Prabhupada’s orbit was His Divine Grace Bhakti Promode Puri Goswami Maharaja. We cannot describe the life of Srila Puri Goswami Maharaja without emphasizing his contribution to the spiritual movement in which he was so integrally involved. The depth of his accomplishments cannot be fathomed outside the context of Sri Gaudiya Math. With his fellow godbrothers, he shared an indomitable faith in the service of his Guru and the message of Sri Chaitanya Mahaprabhu. This service was the sole purpose and highest aspiration of his being. This conviction led him to spend his entire life in the pursuit of Srila Prabhupada and Mahaprabhu’s pleasure and the fulfillment of their desires. If we examine his life in this setting, we will see more than just numbers, dates, places and names. We will see how he embodied the very life current that his spiritual preceptors came to give the world. Srila Puri Goswami Maharaja took birth in the village of Ganganandapur in Jessore district (in present-day Bangla Desh), on October 8, 1898. His parents, Tarini Charan Chakravarti and Srimati Ram Rangini Devi, named him Sri Promode Bhushan Chakravarti. During his childhood, he met his vartma-pradarsaka guru (“one who opens the door to the path of devotion”), Srila Bhakti Ratna Thakura, a godbrother and siksha disciple of Thakura Bhaktivinoda, the legendary architect of the present Gaudiya Vaishnava movement. Through Bhakti Ratna Thakura he was introduced to Sajjana-tosani, Bhaktivinoda Thakura’s own Vaishnava periodical, which was filled with Bhaktivinoda’s commentaries and holy teachings. In this way Srila Puri Maharaja became familiar with the seminal works of the suddha bhakti tradition, such as Chaitanya Charitamrita, Chaitanya Bhagavata and the Srimad Bhagavatam. It was also through Bhakti Ratna Thakura that he first learned of his future guru, Srila Bhaktisiddhanta Saraswati Goswami Prabhupada. Srila Puri Maharaja was still a young university student when he first came before Srila Prabhupada at the Yoga Pith in Sri Mayapur in 1915. It was a significant occasion, for Srila Prabhupada’s diksha guru, Paramahamsa Thakura Srimad Gaura Kishor Das Babaji, had entered his eternal abode only the day before. Srila Puri Maharaja often recounted that as soon as he saw Srila Prabhupada and paid his obeisances to him for the first time, he knew in his heart that this was his spiritual master. Some years later, on the auspicious day of Sri Krishna Janmastami in 1923, he accepted both Harinam and mantra diksha from Srila Prabhupada and was given the name Pranavananda Brahmachari. At the time, Sri Gaudiya Math was rapidly establishing itself as a bona fide manifestation of Indian religious culture and transforming the caste-conscious socio-religious world of Hinduism. Srila Prabhupada Saraswati Thakura was bringing together his intimate associates to share the wealth of Sri Krishna sankirtana. He had accepted tridandi sannyasa in 1918 and by the early 1920’s had already assumed a formidable position in the Bengali spiritual firmament. He was fearless when it came to upholding true religious principles. The students and practitioners of the Gaudiya Math aligned themselves with this attitude and led most exemplary lives of devotion, imbued with austerity, discipline and in-depth scriptural learning. This high standard of religious life was the hallmark of Sri Gaudiya Math and would be the thread that guided all of Srila Prabhupada’s disciples, including Srimad Puri Goswami Maharaja. The keystone of success in devotion is to perfectly hear the holy words spoken by one’s spiritual preceptor. Srila Prabhupada would often say, “All that is required of you is that you lend me your ears.” Srila Puri Maharaja was fully committed to this maxim. He had the great good fortune to associate closely with Srila Prabhupada for thirteen years and during that time he served him personally by recording his lectures and conversations, which were later published. The greater part of Srila Prabhupada’s spoken words we are left with today come from the transcriptions of these notes. At the same time, Srila Puri Maharaja cultivated a deep knowledge of the Vaishnava scriptures, with the result that he became a veritable storehouse of the wealth of the preceptorial line coming from Sri Chaitanya and his followers. This led him to become one of the most prolific writers and influential teachers in all of Gaudiya Vaishnava history. His writings reflect the disciplined eye of a scholar who expresses with grace and directness the purest scriptural conclusions supported by his own uncommonly profound realization. Following Srila Prabhupada’s directives, our Gurudeva edited, wrote for, published and helped distribute countless spiritual publications. He was initially inspired and directed by Srila Prabhupada to start writing and contributing articles to the Gaudiya magazine, the backbone of the Gaudiya Math’s missionary work. For seven years he served as a proofreader and as one of its primary editors. In 1926, he was charged with running the world’s only daily Vaishnava newspaper, Dainika Nadiya Prakasa. He held this service for two years, publishing all of his preceptor’s daily discourses along with articles by fellow students and other contemporaries. His service and learning did not pass unnoticed by Srila Prabhupada who awarded him the titles of maha-mahopadesaka (“great instructor”) and pratna-vidyalankara (“keeper of the wisdom of the ancient scriptural lore”). After the disappearance of his Gurudeva in 1937, Srila Puri Maharaja continued his vocation of spreading the teachings of Sri Chaitanya through the Gaudiya magazine, first out of the Bagh Bazaar Gaudiya Math and then later the Sri Chaitanya Math in Mayapur. After he founded the Sri Chaitanya Gaudiya Math, Srila Puri Goswami Maharaja’s godbrother, Srimad Bhakti Dayita Madhava Maharaja, invited him to head the editorial board of Chaitanya Vani magazine in 1964. Puri Maharaja served in this capacity for thirty-three years, furthering his life’s work of preserving the teachings of his spiritual lineage. Through Chaitanya Vani, he continued to make a deep impact on the devotional world. 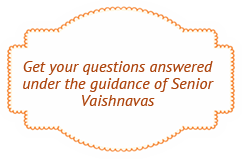 In all, our venerable teacher’s wisdom is embodied in over sixty years of writings on Vaishnava philosophy and theology. He penned a rich variety of texts, bringing the Bhagavata dharma to life through hundreds of poems, essays, narratives, diaries, editorials and personal letters, thus creating a storehouse of the wealth of pure devotion for his disciples and the world at large. In 1942, Srila Prabhupada appeared to Srila Puri Maharaja in a dream vision and imparted to him the sannyasa mantra, ordering him to accept the renounced order. After accepting tridandi-sannyasa from his godbrother Bhakti Gaurava Vaikhanasa Maharaja in Champahati in August of 1946, he toured parts of India with other godbrothers such as Bhakti Hridoy Bon Maharaja and Bhakti Dayita Madhava Maharaja. In the meantime, he continued to write and lecture with dedication. At the behest of his godbrother Tridandi Swami Bhakti Vilasa Tirtha Maharaja, he also served for seven years as chief pujari for the Yoga Pitha temple, the birthsite of Sri Chaitanya Mahaprabhu. Srila Puri Maharaja took up a more solitary life of worship in the 1950’s. He moved to a humble cottage on the banks of the Ganges in Ambika Kalna. The king of Burdwan was extremely impressed by his saintly ascetic character and, on the appearance day of Srimati Radharani in 1958, presented him with the ancient Ananta Vasudeva temple in Kalna. In 1989, at the age of 91, Srila Puri Goswami Maharaja established the Sri Gopinatha Gaudiya Math in Ishodyan, Sri Mayapur, for the service of their divine lordships, Sri Sri Gaura-Gadadhara, Jagannatha Deva, Radha-Gopinatha and Lakshmi-Narasingha Deva. In the following years, he established other temples in Jagannatha Puri, Vrindavana, Calcutta and Midnapore. Srila Puri Maharaja taught through his every action. He excelled in all aspects of devotional practice and there was perhaps no area in which he did not exhibit utmost expertise, diligence and foresight. This ranged from his encyclopedic knowledge of scripture, to maintaining the printing press, to his beautiful singing of kirtan. He was especially recognized for his sensitivity and attention to detail in the performance of deity worship and devotional rites and was thus widely called upon to be the head priest in most of the Gaudiya Matha’s deity installations and ceremonial functions. He was rarely known to rest; his service was an uninterrupted flow. Even in his later years, he would remain awake, writing and chanting through the night while all his youthful disciples were still asleep. When his personal servants came in the morning, they would inevitably find him awake and chanting the Holy Name, arisen before everyone else in the ashrama. Srila Bhakti Promode Puri Maharaja had outstanding love for his godbrothers and was inspired in his glorification of others. He found richness in everyone he met. He had the quality of making one feel so much wanted and their life so much valued. At the same time, he paid the least attention to himself. He was an emblem of humility and simplicity, and his generosity of spirit and kindness touched the hearts of the whole Vaishnava community. Among his lifetime, intimate companions were Srila Bhakti Rakshaka Sridhara Deva Goswami Maharaja, Srila Bhakti Prajnan Keshava Maharaja, and Srila Akinchan Krishna Das Babaji Maharaja. Toward the end of his sojourn in this world, he was honored by the Gaudiya Vaishnava community for his learning, long life of service and devotion and made president of the World Vaishnava Association in 1995. We are greatly indebted to His Divine Grace for his gift–a lifetime of pure devotion, spanning over a century, which we can aspire for, learn from, and discuss about for our own spiritual nourishment. Srila Puri Maharaja departed this world for the eternal abode in the predawn hours of Narayana Chaturdasi, October 21, 1999, one day before the Rasa Purnima. His divine body was transported from Jagannatha Puri to the Gopinatha Gaudiya Matha in Ishodyan and there placed in his eternal samadhi shrine. Prior to his departure from this world, Srila Puri Goswami Maharaja appointed his intimate disciple, Sripada Bhakti Bibudha Bodhayan Maharaja as his successor and President-acharya of Sri Gopinatha Gaudiya Matha. In years to come as more of his words and vision are translated, the world outside of Bengal and India will come to know the spirit of the true Vaishnava religion that he tirelessly shared. May the gentle rain of nectar of his perfect teachings continue to bring auspiciousness into this world.